If Ben Affleck’s directorial prowess wasn’t already evident with the excellent Gone Baby Gone (2007) and sophomore effort The Town (2010), with his third feature he has further cemented his status as one of the best current filmmakers in the business. 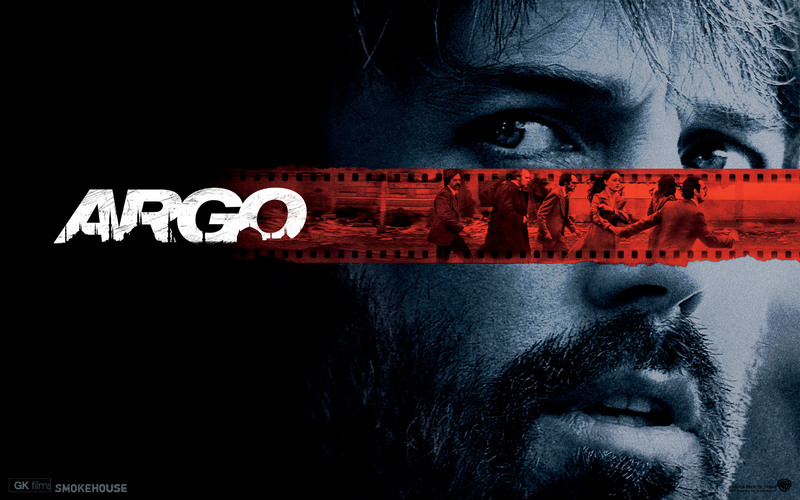 One of the best releases of 2012 – an assertion given greater credence following the film’s recent Best Picture triumph – Argo is nail-biting cinema at its finest, blending tension and humour with an incredible story to impressive effect. Based on the true events, we begins with a mob of Iranian revolutionaries storming the US Embassy in Tehran, taking 52 American citizens hostage. However, six Americans manage to escape, finding refuge with a Canadian diplomat. With the Iranians coming closer and closer to discovering who they are each day, CIA exfiltration specialist Tony Mendez (Affleck) hatches a plan to smuggle the Americans out of the country, proposing that he and the diplomats disguise themselves as a Canadian film crew scouting locations for a sci-fi movie entitled ‘Argo’. The fact that Argo is based on true events makes the narrative that much more fascinating and incredulous – indeed, if this was fiction we might have deemed it too far-fetched – and though we ultimately know the outcome going into the film, it never ceases to be anything less than riveting throughout. The political side of things is left largely in the background, with much of the exposition dealt with in an efficient opening montage, allowing Chris Terrio’s screenplay to zero in on the more dramatic (and entertaining) events. Affleck’s most notable achievement here is the manner in which he creates tension, something which is even more commendable given the aforementioned set-in-stone outcome, and nowhere is this more evident than in the final suspense-filled half hour. Helped ably by Alexandre Desplat’s fitting score, the actual events most assuredly never transpired in the way Argo depicts they do, but we’d harsh to begrudge it when the result is such brilliant cinema. Affleck is not as formidable on camera as he is behind it, but there is a great dynamic established between Mendez and the six diplomats, whom are as scared and sceptical as you’d expect them to be in a climate where Americans are publicly hanged. The audience is made to care about each character, which makes the tension that much more palpable. John Goodman and Alan Arkin are also great fun to watch as two Hollywood contacts that help sell Argo’s credibility, and the humorous jibes at the film industry keep things flowing nicely in the film’s first act. When you consider the long list of accomplished actors in bit-part roles – Bob Gunton, Victor Garber, Kyle Chandler, Richard Kind, Titus Welliver and Keith Szarabajka all appear – it becomes clear just how impressive the ensemble cast really is. In this regard, Breaking Bad’s Bryan Cranston is the standout, superb as Mendez’s prudent supervisor Jack O’Donnell. Deserving of every accolade it has received, Argo is an entertaining, affecting thriller that warrants a place in anyone’s DVD/Blu-ray collection. This DVD review was originally published at CineVue. This entry was posted on March 6, 2013 by Amonymous. It was filed under Film Reviews and was tagged with Alan Arkin, Alexandre Desplat, Argo, Ben Affleck, Bryan Cranston, Chris Terrio, Iran, John Goodman. Not the Best Picture winner that I would have liked, but still a good film because of what Affleck is able to do as the director. Good review. Thanks! Your pick for the best picture winner would be?